So we living here in Maine have a unique opportunity to practice the lost of art of tipping. What is tipping? It is simply the gathering on evergreen limbs ( tips ) to sell to local wreath makers, or for the ambitious and crafty, to make your own wreaths! 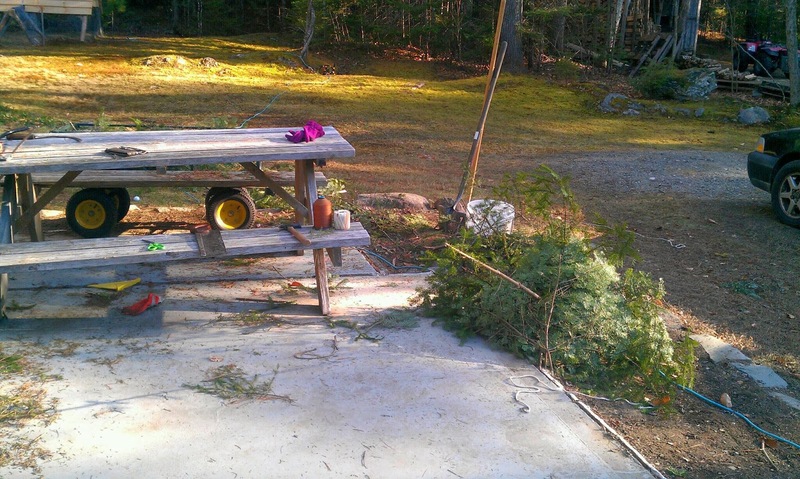 Maine has a plentiful amount of wreath makers, not so many tippers. It can be a bit of an ordeal. 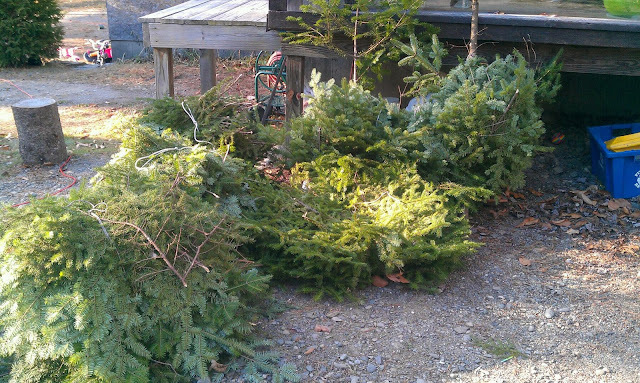 You must time it right, when you have had enough cold days and nights to stop the sap from running, but with enough time to bundle and sell them, with still enough time for people to make the wreaths and sell for the holidays. We have never tipped before, and this is evident in our process. First we were being much to picky about what we cut, then about how we were bundling. We have gotten better, which is important when you consider the 30 cent per pound price tag. It is fun though, it is a chance to spend time together, be outside, learn about some trees, and make a little money from a sustainable industry. If you are interested in tipping or what some more information, good luck, like I said it is certainly a dying art at least here in the states. I did find some info on the UMaine website that helpful. If you have tipped, or are tipping, I would honestly love to hear from you! Next Next post: Winter Composting with worms!